Spike VGX event - a sort of The Academy Awards in the gaming industry - will be held next month, on the 7th of December. During the show gamers will be able to watch new The Witcher 3 trailer, and already today you can see a short glimpse of it - the 15-seconds long teaser. Short The Witcher 3 teaser was released on the weekend to prepare fans for the VGX show that will be held in December. It is no coincidence that the game's trailer will be presented during the event, because The Witcher 3: Wild Hunt is among VGX nominees too. This action-RPG struggles for the title of the most anticipated game with other popular projects such as Destiny, Watch Dogs, Titanfall and South Park: The Stick of Truth. 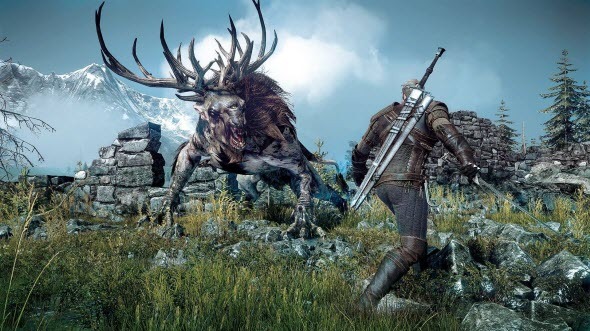 Are you waiting for The Witcher 3 release date and the new video? Which project among the above-mentioned ones is your most anticipated game? Your comments are always welcomed.